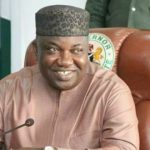 Governor Ifeanyi Ugwuanyi of Enugu State yesterday received ten out of the eleven indigenes of the state who were among the 490 Nigerians that were recently repatriated from Libya. Addressing the returnees at the Government House, Enugu, Gov. 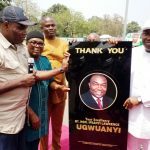 Ugwuanyi thanked God for their safe return and also expressed gratitude to President Muhammadu Buhari and his team for facilitating the return of the affected Nigerians to the country. The governor noted that the female returnee from the state could not return with the others because she was currently receiving medical attention in Port Harcourt. He promised to assist the returnees undertake necessary medical examinations as well as “reintegrate them with their families and society at large”. Gov. 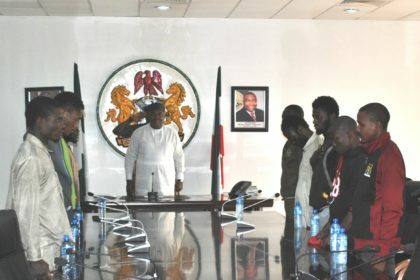 Ugwuanyi advised Nigerians, especially the youths to desist from traveling to Libya and similar unsafe places in search of greener pastures and charged them to positively invest their resourcefulness and creativity “at home rather than expose themselves to slavery and other untold difficulties abroad”. Narrating their ordeals, the returnees thanked God for their safe return after the trauma they experienced in Libya, applauding the Federal Government for the “surprised” intervention and Gov. 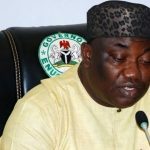 Ugwuanyi for receiving them back to the state. The returnees said it was only God that sustained them in Libya, as they experienced several inhuman treatments in the hands of the Libyans. They stated that it was because of their pitiable conditions in Nigeria that they traveled to Libya, stressing that they had no bad intention. “It was only God that saved us. I never believed I will return to Nigeria. I trusted my hope in God. I didn’t have any bad intention traveling to Libya. It was because of my condition that I traveled out. I was a shoemaker in Nigeria. I sold my tools, everything, to be able to travel. “It pains me a lot that I had to pass through all these. 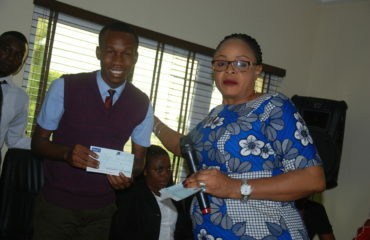 But I thank God that the Federal Government still remembered somebody like me, more especially my Governor, Hon. 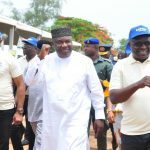 Ifeanyi Ugwuanyi who sent his team to come and bring us back home from Port Harcourt, after we returned from Libya”, one of the returnees, Hyacinth Mathias Ikechukwu said. Another returnee, James Chioma Ogbo said: “While I was in the prison, I was surprised to hear that the Federal Government of Nigeria, our President sent people to come and rescue us. We are surprise that our country can remember us. 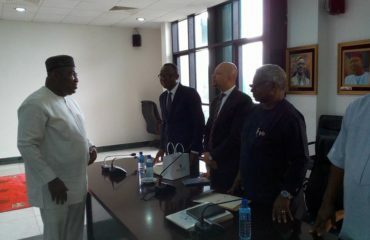 That was our greatest surprise and we are equally very grateful to our Governor and members of his team”. 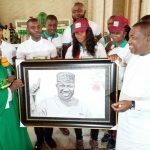 Earlier in her remark, the Executive Secretary of State Emergency Management Agency (SEMA), Mrs. Nkechi Eneh, who accompanied the returnees to the Government House, disclosed that the governor “quickly” provided the logistics for their return to Enugu from Port Harcourt, and thanked him for his prompt response. 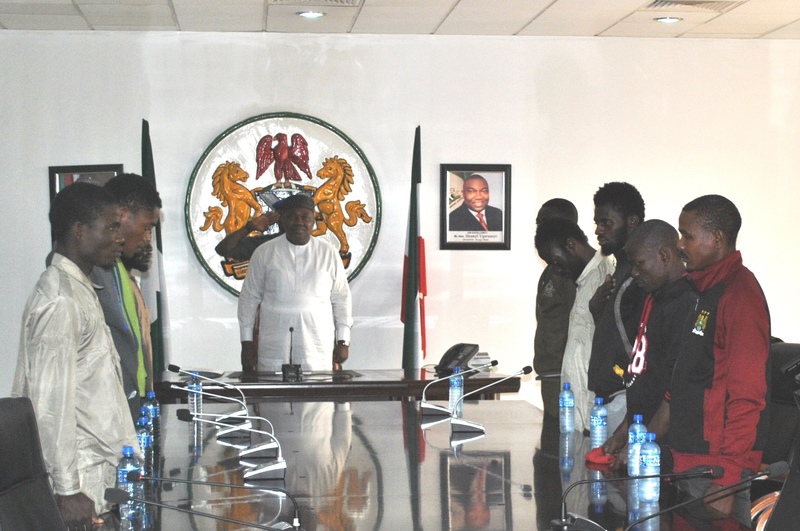 A prayer session was also held in honour of the returnees and other Nigerians in similar conditions abroad by the Chaplain of the Government House, Rev. Fr. 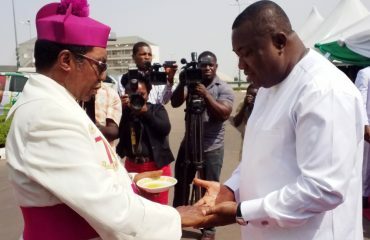 Chinedu Ozoude and Archbishop Emmanuel Chukwuma, who was represented by Venerable Emeka Ezeji.